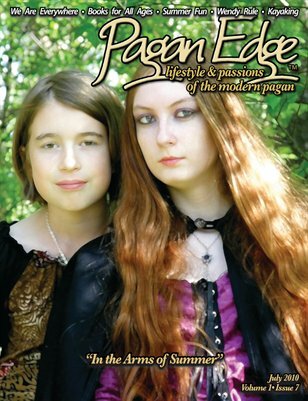 Being Pagan can mean many different things. 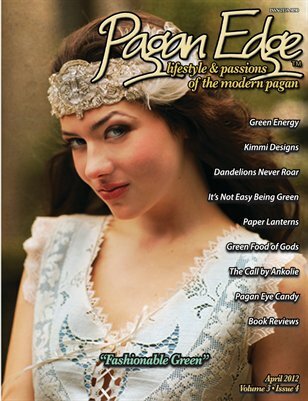 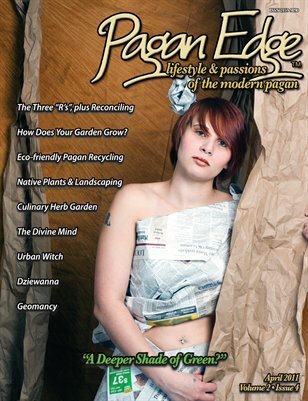 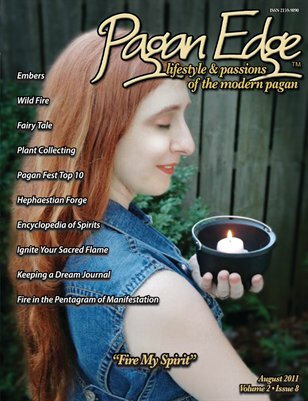 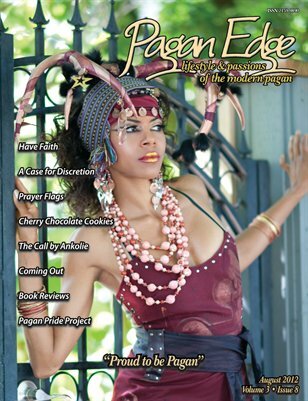 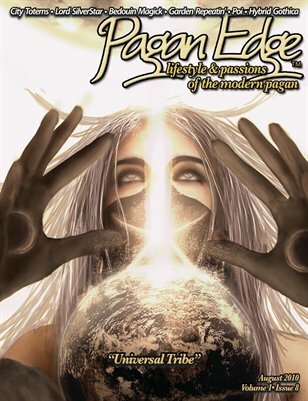 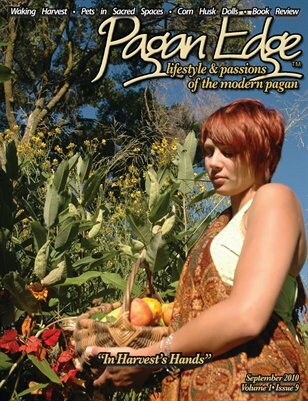 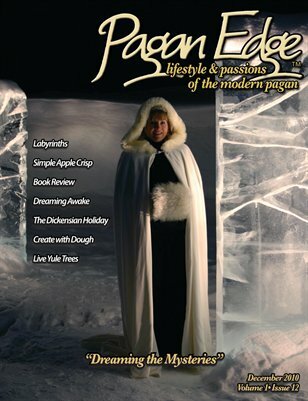 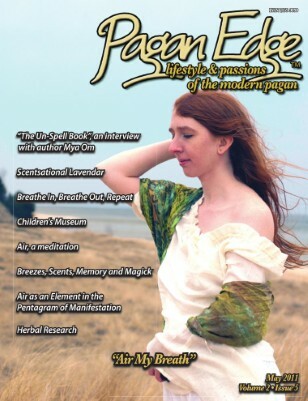 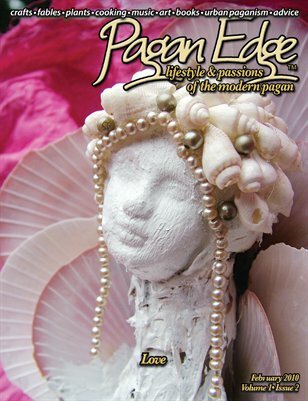 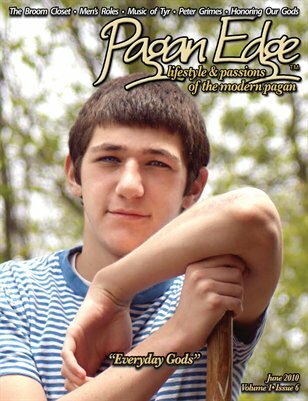 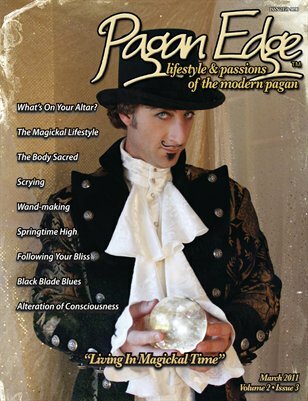 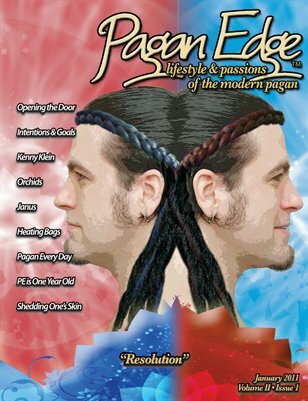 Pagan Edge Magazine will bring to our ever growing tribe the lifestyle of Paganism. 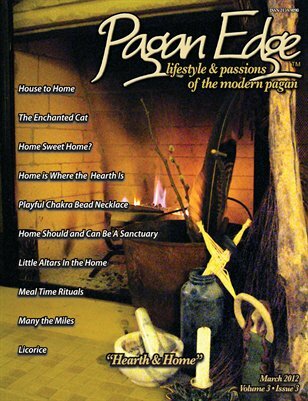 Be it music, visual arts, cooking, decor, or entertaining we will celebrate the elements that make us one of the fastest growing cultures in the world. 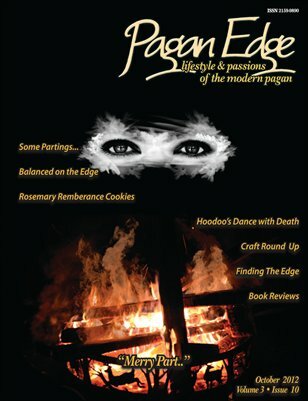 Pagan Edge : August 2012 "Proud to be Pagan"
Pagan Edge : July 2012 "Food's Reverence"
Food! 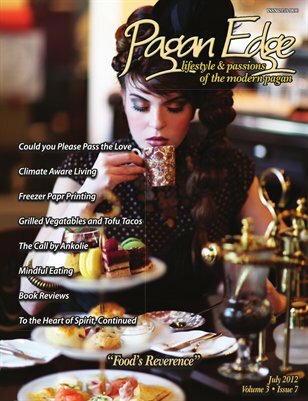 Its all about the sacred nature of preparation, eating, and sharing of our most important resource. 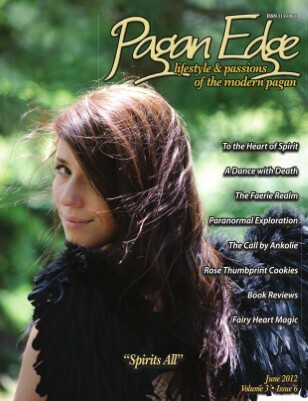 Pagan Edge : June 2012 "Spirits All"
A stroll through both the world of the Fae and the hauntings and other thing spiritual. 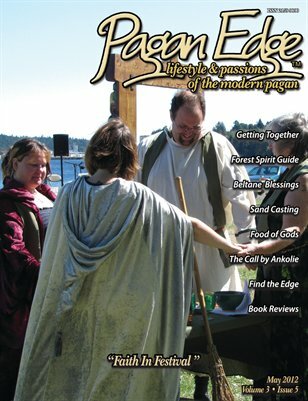 Pagan Edge : May 2012 "Festivals in Faith"
A look at Pagan/Heathen Summer Festival life. 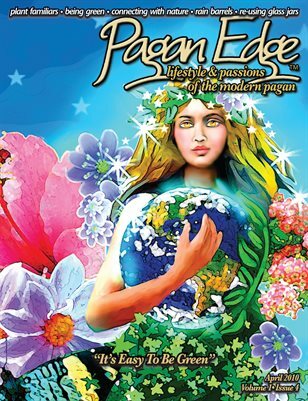 Come enjoy the fullness of Spring with Us! 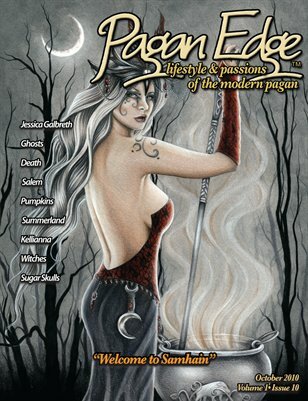 Pagan Edge does it's first fashion Spread! 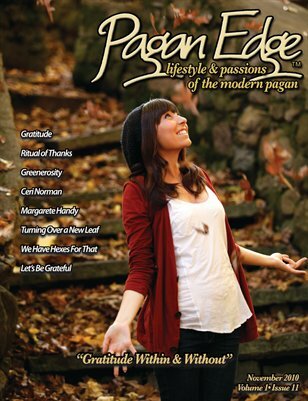 This month we take a look at that place that has so many different meanings, home. 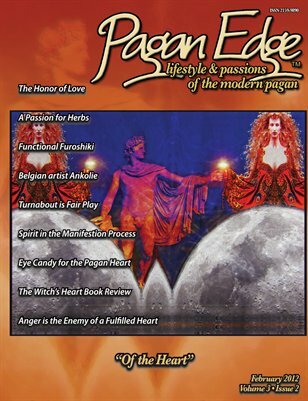 We are also bringing back our food column "Food of Gods"
Pagan Edge : February 2012 "Of the Heart"
A manifestation of honor, passion, fair play, anger all for a Pagan Heart. 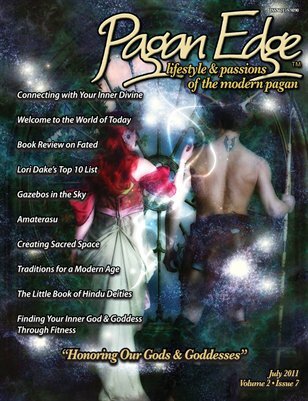 Pagan Edge : January 2012 "Taking it to the Next Level"
This month we breakthrough to our 3rd Year! 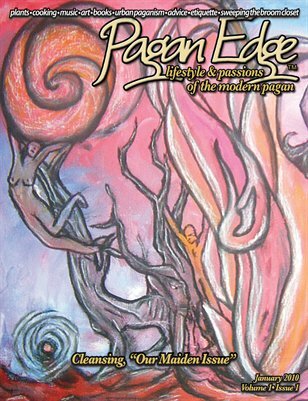 Please enjoy with us. 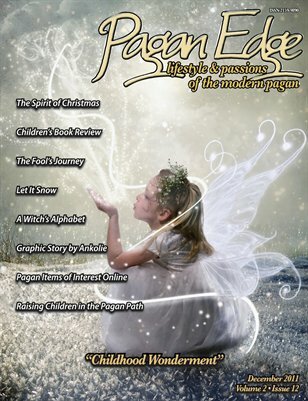 Pagan Edge : December 2011 "Childhood Wonderment"
This month we devote our first issue to our future hope "children". 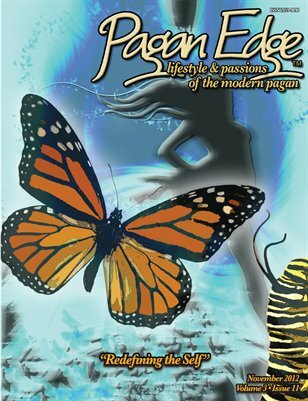 Come share the wonderment with us! 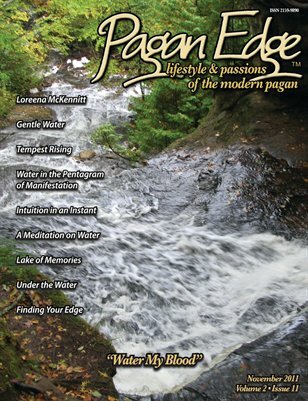 Pagan Edge : November 2011 "Water, My Blood"
This month we explore the element of water. 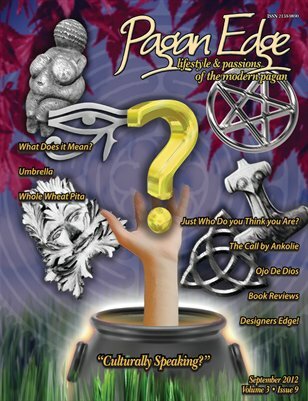 Pagan Edge : October 2011 "Into the Night"
Pagan Edge : September 2011 "Balance Throughout"
It is only when we perceive the world in a new way do we really begin to understand our individual power. 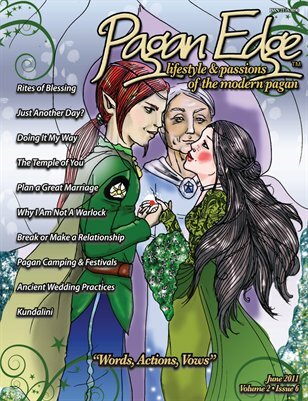 Pagan Edge : August 2011 "Fire My Spirit"
Pagan Edge : July 2011 "Honoring our Gods and Goddesses"
Pagan Edge : June 2011 "Words, Actions, Vows"
Pagan Edge : May 2011 "Air My Breath"
Pagan Edge : A Deeper Shade of Green? 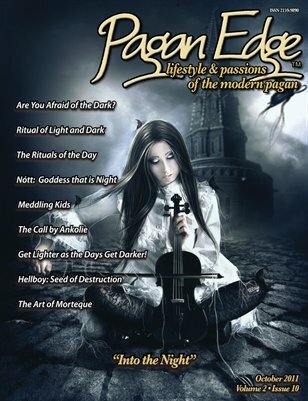 Pagan Edge : March 2011 "Living in Magickal Time"
Pagan Edge : January 2011 "Resolution"
Pagan Edge : October 2010 "Welcome Samhain"
Our first personal look at one of the most iconic of Pagan Holiday's "Samhain". 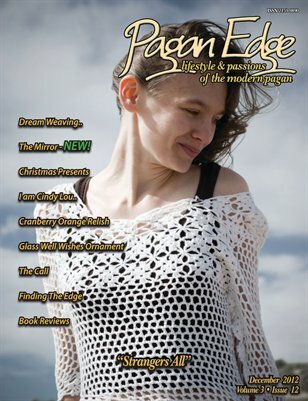 Journey with us into our take of the New Year! 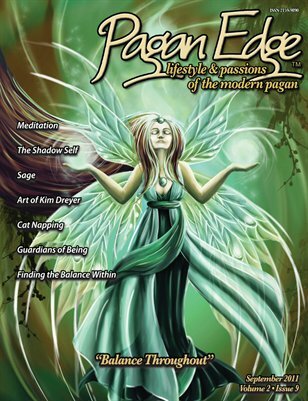 Pagan Edge : May "Day-To-Day Goddess"
In honor of Earth-day 2010 Pagan Edge takes the Pagan perspective on being green. 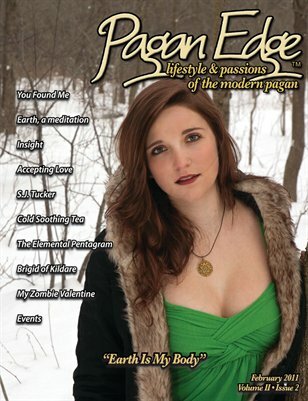 For our second issue February 2010 its Love Pagan Style!